Everyone who receives full time care and who has health needs should be assessed for full NHS Continuing Healthcare funding. However, most people who need full time care are told they have to pay for their own care, and many people find that they are assessed first by their local authority – to look at their financial means. This is the wrong way round. Despite what health and social care people may say, you don’t necessarily have to pay for care when you go into a care home – or when you have full-time care at home. If you have health needs and your local authority does a means test before you’ve been assessed for NHS Continuing Healthcare funding, this puts this local authority in a potentially illegal position and any subsequent care fees charged could be illegal. But how can you back this up when you’re speaking to Social Services? The fundamental principle of healthcare in the UK is that, no matter how old you are, if you need health care or nursing care, you do not have to pay for it. The National Health Service Act 1946 outlined this clearly. The 2006 National Health Services Act did the same. The new Health and Social Care Act 2012 also preserves it. The new Care Act makes it very clear that people should be considered for NHS Continuing Healthcare funding before any financial assessments are carried out. The fundamental principle has not changed. It must be proven that a person does not have a ‘Primary Health Need’ before they are means tested or asked to pay for care – and to do this there must be an NHS Continuing Healthcare assessment first. A social worker or local authority/council representative must be involved in the NHS Continuing Healthcare process if it appears that there is any chance a person may be eligible for funding. access to NHS services is based on clinical need, not ability to pay, and that NHS health services should be provided irrespective of the patient’s age. This applies just the same to an elderly person needing full time care. the NHS must respect human rights. This includes not taking away a person’s entire personal assets in exchange for healthcare. NHS services are free of charge except in limited circumstances sanction by Parliament – not when NHS Continuing Healthcare assessment teams decide to deny funding. access to free health services should not be refused on unreasonable grounds. If health and social care workers have not been properly trained in the legal framework in which they operate, and as a result wrongly force you to undergo a financial assessment, these are certainly unreasonable grounds. you should not be unlawfully discriminated against on grounds of age. Many people feel that the NHS Continuing Healthcare assessment process has little to do with the free healthcare we are entitled to in law and that it is instead financially-motivated. A complex web of assessment procedures and eligibility criteria has been fabricated to make accessing full NHS funding for people in full time care difficult. Many care funding experts believe that the Continuing Healthcare assessment framework is not supported in law, and yet NHS ‘assessors’ and decision making panels seem to take on the role of judge and jury about who will receive NHS care, when in fact the principle of healthcare free at the point of use has never changed. One of the most well-known court cases in NHS Continuing Healthcare is the Coughlan case. The outcome in this case is just as relevant now as when it was heard at the Court of Appeal in 1999. Before a relative needs care, most people believe they can trust the health and social care authorities to give them accurate and truthful information about paying for care. Once families realise what really happens when applying for funding for a relative, this belief is sadly often shattered. What makes it even worse is that the people providing that information to families may not have been properly trained and may not even realise that they are acting outside the law. It means that when an elderly person goes into care, many families don’t realise that the first priority is an NHS Continuing Healthcare funding assessment – not questions about money, property and savings. This ‘oversight’ of the part of the health and social care authorities means that huge numbers of elderly people have been illegally railroaded into selling their homes and spending everything they have to pay for care that should have been provided by the NHS. The only way to know who is actually responsible for paying for care is via the NHS Continuing Healthcare funding assessment process. Hi , my aunt who is 56 yrs old and was under social care home package plan over 5 yrs or more but last year they told her she’s using her respite care to pay for her home care ? We have no idea how this happened as she had a careplan package in place years ago every few years following that they did a quick check on her status etc over the phone then she was given yellow voucher tokens allowing her up to 4 hrs a day care , then a few years later these were removed and discontinued, then she went about 3 more years with being told on the phone we are short staffed we cant get anyone out to you yet stay with your current home care services etc dont worry as there being paid directly , weve since found out yes they are being paid directly its called respite ? which they have done with care for 3 plus yrs now, the other day i rang social services to ask can my aunt have an extra hr a wk care ? as social services are paying for 100 hrs a yr in her care , or ie 2 hrs a week, to be told no not unless she as a new assestment carried out so were confused now as if to say yes or no ?? they’ve advised we have it saying were not suppose to be using respite for home care services ? left us both very confused they did this them selves ? so QUESTION is should we let them do a new assesment or not ? she advised a finacial one 1st , then a home plan package put in place ? so any info help advice be good thanks. Please can you specifiy the actual “Care Act” name and year and the clause number as I can imagine quoting this to a Social Care Manager or Nurse Assessor and they will say “which particular act says that” – as it is in their vested interested to delay and confuse. 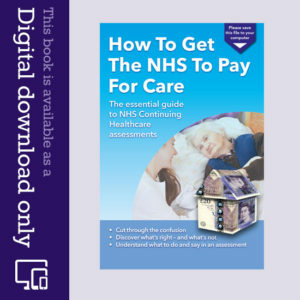 As a general principle, if someone is Financially assessed and then told they will have to pay for their Care, and a Health Needs Assessment and/or full DST Assessment has not been completed – the Council are potentially breaking the key principle of the NHS Acts 1946 and 2006 where Health care MUST be provided free of charge. But, Social Serives and the NHS will both just say – “there’s no need for a DST Assessment as our professional judgement believes that they owuld not qualifiy for CHC Funding” – or similar arguments. A clause that states “No financial assessment must be conducted prior to health needs assessment” – or similar, would be a ppowerful defence. Please can you state the precise clauses? Thank you very much for your speedy reply – much appreciated. Section 17 of the Care Act 2014 mentions Financial Assessments but does not also mention that they should not be carried out if a Health Needs assessment has not been carried out. I understand that anyone can request a checklist or CHC Assessment from the CCG – I actually did request one before my father went into a home – but I was ignored, and he was forced to pay for his care from the start without any HNA or Checklist being carried out. The Law seems to rely on the person or a close relative or friend knowing the Law and then acting on their behalf requesting the checklist – but this still allows the CCG to ignore them. worse still is the scenario where an elderly person has no relatives or knowledgeable friends – and are only adivsed by Social Care Managers that they will need to pay for their own Nursing Care and are not advised of even the existence of CHC Funding. This actually happened to an elderly woman who I got talking to when visiting someone else in the adjacent Hospital bed. She had severe health issues which meant that she was in and out of Hospital on a regular basis and was completely unaware of NHS CHC Funding. Is their a Law that protects the elderly and vulnerable people from a system which wishes to avoid providing free healthcare? There are many vulnerable people who are alone and are not protected from having their life savings and homes stripped away to pay for their Healthcare. – against the principle of the NHS Acts. Thank you for your reply. CTBD has helped thousands of people become aware of CHC Funding, and provided support where none has come from the Local Authority or NHS regarding funding of health care for the elderly. Which indicates that there is wording that makes it clear to Social Services and NHS Staff, that a HNA/CHC Assessment must be done – please can you point me at the actual clause so we can all use this to prevent the elderly from unfairly being forced to pay for their Healthcare Needs? I understand that you are not able to provide legal advice – but the people who read this website have access to the internet which means they also have access to Governement Legislation web pages too. I need help urgently as very confused. A distant uncle of mine suffered a brain tumour which has now caused severe cognitive issues similar to dementia and he lacks capacity. He was a low earner and made ends meet through doing the markets. He then relied on his state pension. He went to hospital to undergo the operation just over a year ago and now he is in a care home. The social services encouraged me to become a DWP appointee recently to manage his pension benefits and arrange for payment to his care home however I have recently received a huge bill asking me to pay backdated money for my uncle’s care from August when I only became appointee in Oct. The pension amount is £600 per month and hasn’t even hit my account yet and they are asking for almost £2000. I have no way of paying this backdated money myself, and I have no access to his bank account. Now I have a pushy social services person asking me to apply for Power of Attorney to check what savings my uncle made whilst he was in hospital as I assume they want to take those savings from him to contribute to his care. He doesn’t have much, maybe some of his pension that saved up for the time he was in care. My issue now is that I’m being sucked into a situation where I acted as a next of kin to a distant uncle and social services are coming on really heavy on me. I don’t mind helping my uncle, he has no one else and this is my duty but I’m not happy with the way social services are applying pressure. I have rang around solicitors who are saying it will cost me money to apply for POA and the process is more difficult as my uncle lacks mental capacity so we need to apply to the court for something. I don’t know if the social services are acting in my uncles best interest or in mine. I have explained that I don’t have any money to pay a solicitor and the process is very complicated but it appears they are applying pressure and constantly calling me. I am now regretting becoming the DWP appointee, I am scared they are now going to ask me to pay backdated money I do not have and money I never received from his pension. I become an appointee in October and I’ve still not had the first payment to pay for his care bill but they want money from July. Is this even fair, how do they expect me to deal with this? Is it fair for them to go after his little savings and push me into become a power of attorny, apart from his pension savings my uncle had no wealth or property. He struggled financially as the markets went down hill and me and my siblings helped him to survive the best we could. I was hoping to use his savings to help make his life more comfortable in the care home and pay for trips and help him achieve his bucket list before he passes. He is in care home now and it breaks my heart that he has very little quality of life and without his savings I don’t know how we will be able to afford to make him comfortable there or help him do the few things he wanted to do before passing. I’m very confused. Any help will be appreciated. Thank you. Hi, I work for a one of the major care providers. Welcome to my world!. I deal with this day in and day out as well as sit on the other side of the fence with all the various Council and CCG (NHS) disputes and all the weird and wonderful pieces of legislation the UK establishments like to throw about to avoid their responsibilities. Ultimatley, it is the care provider that struggle to operate when fees do not get paid, I spend my working week embroiled in dispute resolution processes and it can take months of hard work to get any kind of resolution. To address your situation, relinquish your role as appointee if you must and inform the council if you don’t want to continue to do it or make it clear you will do so if they harass you over the arrears. Most councils used to have departments to take on such roles but as with many other departments and cost cuttings many councils cut this out although they should have an alternative if they do not take on Corporate Appointeeships themselves. They do like to try to pass this responsibility onto care providers also and I deal with many cases where they pressure family/friends/neighbours into taking roles on they do not want to themsleves. We find ourselves in you position quite a lot, where we start receiving funds but the council assess someone to contribute a weekly fee prior to that date we became Corporate Appointee meaning we are left with debts from arrears we cannot collect and have to default debt to the council using arduous processes. In many cases we may not ever get paid and are left with debts we have to write off due to this and this is the side of the story that nobody reports on!. You are not liable for any fees, you are an agent and cannot pay money that you cannot access. When the council assessed the weekly contribution they know if the money is or is not there but they base the fee on income and may still include notional capital (money that is no longer there) and here is your problem as if they backdate the weekly amount it can never realistically be paid if money has been spent or is no longer available. In your case, it sounds like the funds may be there but you just cannot access them. Therefore, I recommend you do not take on LPA/Deputyship as yes there will be an outlay for you to do so, again state you do not wish to do this and make it clear. The council can apply for an interim order if they must to ask the Court of Protection to grant a one off decision for release of funds to cover any fees they have assessed your uncle can afford to pay , I don’t see the need for an ongoing management of financial affairs here if you have appointeeship which should allow you to pay future assessed care fees. As stated, they (council) will have processes in place, they just don’t use them. Ask about an IMCA (independent Mental Capacity Advocate) and they should be able to help you out, each council must provide an advocacy service. How do go about requesting an NHS Continuing Healthcare (CHC) assessment? My mother is 93 and has lived in Extra Care sheltered accommodation for the past two years. She pays rent and we were advised that she had to pay full care costs as she had savings over £23,000. The Care company have now said they feel they can no longer provide the level of care my mother needs. I am investigating whether I can move her to London to be closer to me but the costs are very high and my mother’s financial resources would not last long. How do I go about requesting a CHC assessment so that I can move her closer to me and be more available to assist in providing wellbeing support for her at this stage of her life. I am 70 and disabled and live in a one bedroomed flat which precludes my having her living with me at a stage when she needs specialist care. What are the criteria required for this assessment to be successful? Great site, a real help, thankyou. I wonder what your thoughts are? My father was sectioned and kept in a secure ward for 56 nights then chucked out to a care home under a Deprivation of Liberty Safeguard (DoLS), which is close to my mum. He’s been in there now for 2.5 years, he has run up a bill of £53, ooo but we haven’t paid a penny to the Local Authority as I have requested an NHS Continuing Healthcare assessment on numerous occasions, mainly when social services threaten my mother with the sherrifs, and as far as I am aware no assessment has been undertaken. I am wondering whether I should pass on his pension and other benefits to them or should we stand fast? We also applied for and got court order from court of protection to remove my father from a house jointly owned and my mother is now a deputy for my father. I am told that the DoLS is still in place, where do you think this will end? Not sure the Deprivation Of Liberty Safeguards (DoLs) can still legally be in place! You need to investigate this and get some legal advice urgently! I was cajoled into leaving a protected non shorthold assured tenancy 1 bed flat extra care housing by a LA and housing association who would not put a waking carer in to support me at night. I ended up in a care home which started charging me over 1k pw for 18 months without a needs assessment being done (which would have referred me to NHS Continuing Healthcare (CHC) process). The social worker at assessment did a Checklist, got 2 severes d10,d12), 3 highs at Decision Support Tool, scores then changed on report d10 noneeds, d12 n/a so could make me ineligible. Started researching and stopped paying care fees. Appeal to CHC underway but care home issuing legal proceedings against me (!) for owing care fees. Advice appreciated. My Nan is 96 and was admitted to hospital after a fall at home earlier this year, she moved to a rehabilitation unit where she had a stroke and was admitted back to hospital. The stroke affected her left side, she was receiving physiotherapy & occupational therapy. At this point we were aiming for her to return home with Carers 4 × daily. Whilst in hospital she had a fall whilst waking supervised by 2 nurses/therapist. She broke her Right hip and needed emergency surgery to have a plate & 3 pins. She was then transferred to another rehabilitation unit, after spending several weeks there the occupational therapists & physio’s recommended full time care for my Nan. My Nan has capacity to agree. I asked if NHS Continuing Healthcare (CHC) funding had been considered when I was given the financial assessment to complete with her however I was informed that it was highly unlikely that she would qualify so I did not push for an assessment. My Nan has now found a suitable placement & We are finalising the financial assessment. I’m concerned that no CHC assessment has taken place as I feel that the care is required as a result of the weakness on her Left side from her stroke and the fact that she was unable to recover sufficiently from this due to her accident whilst in the care of the nhs. Should I push for a CHC assessment?? My mum has vascular dementia she is now starting to loose balance and needs assistance to minover around house . She lives with my daughter and her 2 children, as I am only child and have to work to live . My daughter has 2 bedroom house and she sometimes sleeps with children or on sofa ( she has told council this and they asked her to contact social services) today they visited we asked for assistance and they are coming out next week to do carers assessment. It would be ideal for help to move to 3 bed house and help to relieve my daughter so she can spend more time with children. I have good holidays from work and I have my mum and grandchildren every Saturday and stay overs whilst I’m on holiday. I do worry when I’m in work in case she falls when daughter had to pick children up from school. My mother has never been one to have a hobby or go to bingo she likes home life and would never go into a home the thought used to disgust her ( she looked after her mum who had dementia) ideally I would like to give up work and look after her myself but could not afford to . My mum has no property and little savings . She is 78 yrs old . We would like a carer to come in daily and stay til school runs are done but who would pay ? What help could we get she is incontinent she goes to toilet but leaves it too late . Can’t make food wash clothes make drink because she would scold herself whilst making or carrying it . She smokes heavily and has burnt flooring and her clothes if not watched . My mother coming up to 99yrs old, my youngest brother who is himself 69 lives with her as her carer, she gets the carers allowance payments, does not have any savings, and lives in local council property. Recently in hospital after a fall, no breakages, dismissed on same day, they put in place for two care workers to attend her once a day for a week. They took a form on the fifth day for her to sign, and said she will have to start paying after the week up, i told my brother about her having to be assessed for for full NHS continuing healthcare funding BEFORE they start paying anything. It was the hospital that set up the careworkers coming in and not my brother, it’s getting difficult for him now, as he had a stroke last year and not 100%…i have heart problems and help as much as i can, we dont want to have to keep doing things this way, i.e. : helping her to toilet etc, embarrassing for her she doesnt like her sons to see her like this, she feels its not right. She is house-bound, and can’t move around, without physically lifting her, she is deaf also, and her mind tends to wonder at times, care home is not an option, as we promised her she will be at home, as and when anything happens to her, so how do we stand as now, will we have full carers going in ,if she qualifies, will it affect carers allowance, and should we start to pay or wait for the assessment? Thank you. My sister-in-law is in a care home, she has been self funded for 18-months, but her finances meant we had to get social services involved. In jan they did a financial assessment, the panel has just agreed to pay, it been backdated to 5 Feb 17, my sister-in-law contributes her pension, social the rest, everything seems to be fine, except social have now said they want to do another assessment on her health, less than 4 months after her initial assessment, how many times do they carry out these assessments? My Mother-in-law 97 years old has early stages of dementia, keeps falling and is walking the floor at all times of the night, she is also incontinent, she went in to a Nursing home 4 weeks ago (at the recommendation of the social services) and was constantly asking to go home, Father-in-law is 91 still at home has early stages of Alzheimer’s. The Home rang last week to say she is settling in fine 3 days later social services rang to say she wants to go home and its her human rights she be allowed to go home and they will put a package together , the Father-in-law is a very independent chap and doesn’t like the idea of people coming and going although he did everything for her before she went in to hospital on Christmas day, what exactly are his rights as he will be the one having to look after her in between carers visits? I thought that, should social services suspect money has been diverted at any time and therefore Deprivation of Assets, there is no time limit for requiring proof of funds. In our experience, social services made inference of possible deprivation right from the start. We didn’t have an assessment at any time, we got, lost and were appealing Continuing Healthcare so it would not have been legal but that didn’t stop a social worker carrying out a “Care Act assessment” when we/POA wasn’t present, she then stated that we had to have a financial assessment which we refused. Incidentally, if you do fill in the form, make sure you post it in the envelope at the back of the pack and don’t hand it to the sw or show sw the bank statements etc. Put the form in the post box yourself. We were told by a member of ss staff that the procedure was that they looked at the form in their office and they decided how much was to be paid. I later spoke to the Finance Dept, this was untrue, Finance Dept looks at it, decides how much to pay and then give the figure to SS, they do not divulge what the savings are. Mum 86, Living alone since 1984 when my father died unexpectedly. Downsized to a small flat and has been very active till approx 4 years ago when she lost her hair with Alapi—- ! . Became more and more frail. Had two falls last year. 21/09/16 assessment y memory clinic, 18/10/16 diagnosed Alzheimers. I ordered her frozen meals and this was OK for a time but my Aunt then had to ring her every day to tell her to put meals in oven / take pills etc. We had to get carers in once a day. I visited for a week just after they started , I managed to get Social services to do a ( Care? ) assessment whilst I was there. The ”Social worker” who said straight away she was not a qualified social worker advised 3 visits a day and on my request she put the new care package in motion. THEN before this started Mum had a fall, taken to hospital two days later and kept overnight (Chest infection but nothing broken ) but when they were to discharge her she said she didn’t think she could manage with just the carers at home and didn’t want to go back, they found her a place in a residential home, she didn’t like it but at the same time a place became available at another home where we had her name on the waiting list.She moved in yesterday and I just spoke to her without getting much sense, just she likes the room. Can’t remember the place she’s been for the last week. We have ”Put” her there because it’s obvious she wouldn’t be able to care for herself even with carers coming in 3 times a day. We have been told she will have to pay, everyone tells me that unless she has to have ”Nursing care” she will continue to pay till she is below the 23000 AND will have to sell her flat . SO is Alzheimers a medical illness or not?? THE ONLY reason she is in the residential home is because she cannot look after herself anymore and that is because of the Alzheimers. AND as I have no other home in GB and lived with her whenever I am home can she be made to sell the flat? It would be taking away my ability to return when I am too old and can no longer continue doing what I do in France. SORRY it did become long but hope you can help . I have financial LPA for my great uncle who is provided with some help from our LA social services. I telephoned them recently to advise that I am now power of attorney for any financial matters along with my father who is also his next of kin. They advised that they needed to complete a financial assessment but my uncle is paying for the provision in full as he has substantial financial resource. When I asked why they needed to complete this financial assessment as he was paying in full for the charges I was advised that they needed to complete it as it hadn’t been assessed for a few years. I really don’t understand why I have to provide the information as we’re not disputing his eligibility to pay. Can you advise if I legally have to provide details of all of his financial resource as I feel it is none of their business considering he is paying in full and has the resource to continue to do so. I’ve read something about a light-touch assessment? Great site and so helpful. I have recently attended a care assessment for my Mother who is resident in a nursing home, been there about 6 months and has now reached the £23,500 threshold, in fact inadvertently I have paid more than should have and assets are now below £18,000. we have been informed that we will need to complete a questionnaire regarding assets etc. I had spoken to an advisor regarding this as I discovered my Mum had invested a small sum with an investment company some years ago. I was informed that this particular plan does not come under the jurisdiction of ‘assets’ and that there are particular investments that the local authority can not claim against, by the way there is no property or other assets as she was in sheltered accommodation until her deterioration. Now I am worried that if a search is made this small policy will flag and it may look like I have withheld information, what information exactly will they be able to access once I have completed these forms and returned them? I have had care for 15 years, now my carer is self employed and I get direct payments for her. Social services done a financial assesment about 4 weeks ago they wanted me to pay £42.20 a month. Now they have done another one and they want me to pay £73.60 a week. I am disabled – I get DLA which pays for my car and get the care componant for personal care. I get state pension and pension credit of £152.84 and £64.61. They are now wanting me to pay £73.60 a week. They haven’t took in consideration what bills I have to pay like gas & elec. of £110 a month and water £36 and I have insurance electricals on my white goods and death insurance. I am 69 and have a lot of health problems. Like I say, every thing but cancer. I have never been on holiday for 6 years. I can hardly buy food in. I am sorry but i am sick – been stuck in between four walls. Sylvia – that sounds really difficult for you. Because your question relates to your individual benefits, it may be advisable to contact the Citizen’s Advice Bureau and also your local AgeUK. My mum is nearly 86. Even though she has some short term memory loss but she manages okay. After a fall she was in hospital for a week. She had care workers come in for 4 weeks after leaving hospital and then as I was away they extended their visits for a further 2 weeks until I returned. She was told a means test needed to be done and when she refused they said she needed to pay the extra 2 weeks out of her own money. Because of the hospital stay this has now sparked off an interference with a Ward matron visiting and now a social worker is scheduled to visit. They said she needed a memory test. An appointment was made but my mother cancelled it. I know they are going to insist care workers come into the home and because my mother has over £23000 in savings she is expected to pay. When I am away I am okay with someone coming in a couple of times a day to administer my mums pills and check on her, and I have a reliable person set up to do that. She has a prescription for Fortisip and I am able to arrange hot meals to be delivered. I just don’t like the way these people have come into my mothers life and are trying to dictate to her especially as they expect her to pay. If it was so important to them that she has carers come in why aren’t they funding it? I would like to know how much authority these people have? Can they insist she takes the memory test? Both my mother and I now feel very stressed and it’s making life miserable. Thank you for this web-site, very helpful. My 95 year old mother in law is currently in hospital following a fall. She has dementia, pressure sores Grade 3 and the hospital are currently doing the NHS assessment, I have to say they have been helpful and informative about the assessment but we have been asked to go along on Monday for a 2 hour meeting where a social worker will be present. They have scored Grad A on the pressure sore and B and C on other things. Is she likely to get funding? They have said she cannot return home so either way it is a nursing home. Thank you for your informative site and advice. We have been asked to attend an imminent meeting at the hospital with the occupational therapy staff and local authority (LA) rep. The point is we have not been informed exactly what it is about – although, we assume it to be a possible means/financial assessment. Therefore, as we have not been informed of any CHC assessment, please could you clarify if a patient and/or their representative, are within their rights, to terminate a meeting if any mention of needs/financial queries are made. Basically, is the patient/rep within their rights to state (as they have not been offered or informed of any prospective CHC assessment), they do not want to discuss anything until this has been instigated via the CHC Checklist? Also, if they are informed a Checklist has already been done is this not correct procedure and are they legally entitled to not enter into any discussions, re discharge/needs/finances, etc, until a Checklist has been carried out with their presence and knowledge of it? In addition to this is it fine to discuss anything else as long as there is no mention of means or finances – i.e any possible transfer to a specialist NHS rehabilitation centre that is considered to be a valuable aid to further recovery, due to perceived stagnation in the present hospital situation? (There is also a concern that a request that’s been made for transfer to the specialist NHS rehab centre will be jeopardised, if a CHC checklist is done and is passed, due to the NHS rehab centre not accepting – due to the prospective CHC assessment). It is urgent, due to the late notification from authorities – basically, I need asap please. (Apologies for the length of the comment.) Thank you, kind regards Mark. Mark – yes, the first thing that should be done is a Continuing Healthcare assessment, and questions about finances have no place in that process. 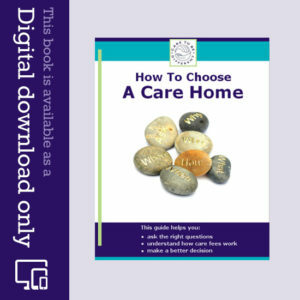 http://caretobedifferent.co.uk/paying-for-care-between-hospital-discharge-and-funding-decision/ The family and/or the person’s representative should be kept fully informed about any assessments and invited to attend and input into these. All aspects of a person’s care needs should be covered, as the Continuing Healthcare assessment also informs subsequent care plans. … To clarify: she has not been assessed for NHS funded CHC. Firstly, thank you for your fantastic site – the most useful information I’ve found. After falling and sustaining multiple hip fractures my mother was in rehabilitation for 6 and a half months and is still under Consultant care in terms of having further appointments to check her operation. I was told that she needed to pay for the rehabilitation home after the physiotherapy was signed off (in fact, they didn’t want to do the physiotherapy at all as they said she lacked the cognitive skills for it to be of value; but I forced the issue and she now transfers with a stand-aid rather than being hoisted. The consultant has recommended further physiotherapy. I asked the rehabilitation centre about NHS Continuing Care and they told me it was a waste of time and they would not recommend her to be assessed. Subsequently, I found a residential care home for her where she currently lives and I am being pursued by the borough council to complete and return the Assessment of Financial Resources along with bank statements etc. But she has not been assessed and the social services have said she doesn’t qualify. She suffers from extreme anxiety, is terrified of being left alone, has pressure sores, refuses to eat anything but cakes and puddings. So can I then legally stall the Financial Assessment and request that she first has to be assessed for CHC? Or will they then rule that she has to pay for all of her care? (Her savings are below £23,000). Thanks for your very kind feedback on the website, Michelle. First of all, well done for standing your ground over the physiotherapy. Sadly it’s not unusual for elderly people to be cast aside and told they’re not worth any therapy. Sad, sad, state of affairs. The statement by the rehab centre about Continuing Healthcare (CHC) is nonsense. Your mother must be assessed for CHC before anyone tries to means test her. This is the law. This article will help: http://caretobedifferent.co.uk/care-act-2014-helps-you-with-nhs-continuing-healthcare/ Social services are talking nonsense, too, when they say she doesn’t ‘qualify’ without even having done an assessment. Yes, refuse to participate in any attempt to means test your mother before the proper CHC assessment process has taken place. Social services (local authority) have a legal duty to be proactive in looking at the level of your mother’s care needs vis-a-vis CHC. My mother aged 90 has dementia and is in hospital after a fall. She lives with me and has no apparent injuries but has had a few UTIs and chest infection. I have agreed to have care am and pm as mum can be v difficult and aggressive , lashing out swearing etc. Social worker (sw) has got ward to record triggers on behaviour chart. Mum passed stage 1 amd now awaiting stage 2 assessment for Continuing Healthcare (CHC). Do they have to complete stage 2 in 28 days from stage 1? Sw mentioned Mr pointon as a benchmark case regarding him being awarded CHC because of his behaviour. Just wondered if any advice you can give me, would be v grateful. Nurse, discharge planner at stage one said must tell you only 8% of people are awarded CHC – but don’t worry as social services will give you package of care…..
Also she scored mum A for Behaviour but C for Emotional level. I said anger is an emotion and mum’s is damaged through dementia. Was told she would have to be bursting out crying or on antidepressants to get A. She then said if she marked mum A or B for emotional level then would have to mark her down on behaviour? I said system is seriously flawed and she agreed. I am worried mum isn’t going to get a fair assessment. Any advice welcome. Pam – The discharge nurse doesn’t seem to have the first clue what she is doing – or saying. Her statements about not worrying because social services will provide care, and the statements about how she has to score things are nonsense – and quite wrong. It is not the system that is flawed in this specific instance – it is her actions. Insist on things being done properly, read the National Framework and the Checklist and Decision Support Tool documents, pull together a summary of everything that has been done incorrectly so far and insist that the assessment process is started again. Guidelines: http://caretobedifferent.co.uk/continuing-healthcare-assessment-guidelines/ Standing your ground: http://caretobedifferent.co.uk/stand-your-ground-in-nhs-continuing-healthcare/ Typical Checklist errors: http://caretobedifferent.co.uk/nhs-continuing-healthcare-checklist-assessment/ Regarding the 28 days, have a look at pages 31, 77 and 133 of the National Framework. My parents put their property into a trust fund so they can live there rent free. We have financial assignment coming up – dreading what to say. My parents don’t own their property, the trust does. Could you advise me please. If your parents need care, the first thing that should happen before anyone starts talking about their property is an assessment for NHS Continuing Healthcare. If (and only if) they are not eligible for Continuing Healthcare, the local authority may potentially try to challenge the way the trust was set up – but that’s outside our field of expertise here at Care To Be Different. You may want to contact the financial or legal adviser who helped your parents set up the trust. Family took my 83 year old type 2 diabetic brother to his GP end of Sept 2015 due to behavioural worries. He had been erratic with his medications and suffers from memory problems. He had a memory test in December and a CT scan January 2016 for which we have to wait until March for a Consultants appointment.Social services have become involved and a continuous care assessment has been done for the last month. Now they want to do a full financial assessment but I am not aware of the care assessments result. He still does his own personal care and family do laundry and shopping etc. Carers visited twice daily to check he was taking his medication and recorded his food and drink intake. Are they jumping the gun before he’s had a definitive diagnosis and or change of medication regime? Social Services should not be doing a financial assessment until the results of the proper Continuing Healthcare (CHC) process are clear – and only then if your brother is NOT eligible for CHC. They should give you (or whoever is acting for your brother) a written copy of the decision making rationale. CHC does not depend on any specific diagnosis or medication – instead, it’s a whole picture of day-to-day care needs and risks that should be taken into account. It sounds as though they are jumping the gun. There is something to be said for keeping your spare money under a mattress. I did not know it was wrong for the social worker to arrive and ask outright “and what finances does your mother have”.? There was never any mention of a CHC assessment having been done or about to be done. Although my mum had been taken away already under the Mental Health Act due to confusion with wandering. I cannot thank you enough for your web site. My sincere thoughts go to the many families caught up in this care system and funding for next of kin. Thank you, Margaret. I’m glad it’s helpful. I am looking after an elredly lady M who went inot the hospital SEP 2013, and came home in NOV 2013 after Continuous Health Assessement. She then had Reablement and then carers coming in from Local Authority. NOW – IN A YEAR’S TIME (!!!) – Local Authority contacted us to have a Financial Assessment done to see if M has to contribute towards her carers. We explained to them, that system with carers (twice a day) has been up and running for a long time now, why now they want to have an assessment done? They said it had to be done earlier but we still have to do it. They insist on assessment and we have it first week of November. What are our rights and responsibilities? What guidlines are they following? Mam broke her knees shoulder and arm. In hospital she had a TIA. Mam’s wish Is to go home. She has been treated terribly in hospital and was sent to a care home where she had two falls and five strokes. Mam has been awarded Nhs continuing care and insists on mam going into a care home. Mam wants to come home. How can we stop Nhs putting mam in a care home miles away? My friend who is 83 yrs old was refused any financial assistance from local authority to pay for her care at home because she is joint owner of a house that she is trying to sell but this is proving difficult due to family dispute . Case is currently with the solicitors . This lady does not have any money to pay for the care at present. Can you advise if the local authority decision is correct . To provide advice, I’d need to look in more detail at your situation, Yvonne – but if your friend jointly owns the house and the other owner(s) don’t want to sell, then your friend’s share is effectively worth zero, and so this cannot be taken into account in means testing. I would strongly recommend taking independent financial advice. True, it is financially motivated. When Mum was first taken ill in 2000, we were asked to answer questions about her in the hospital. The first question being if she owned her own home. I was summoned to Social Services, where again the first two questions were. again. if she owned her home, and how much she had in savings. It’s scandalous. Anyone who has not been thrifty or squandered their money does not have to put up with this, and also does not have to pay. Thanks for your comment John. You’re right, the pressure put on families to get elderly relative’s out of hospital – often without proper assessments having been done or even proper ongoing care in place – breaks so many guidelines. And of course forcing someone out of NHS care for financial reasons is wholly illegal.